Edinburgh has consistently been voted ‘Favourite UK City’ by Observer, Conde Naste (2010 Award Winner for Best City) and Guardian readers. Edinburgh was named as 1 of the world’s top ten cities by travel magazine. The quality of life in the city region is endorsed by its residents who registered a 92% satisfaction rate, the highest of any city surveyed in a 2006 MORI poll. In 2007 Edinburgh was voted the best place to live in the UK by Channel 4’s Location Location Location programme. Edinburgh’s Old and New Towns collectively form a UNESCO World Heritage site. A centrepiece of medieval closes, bounded by a masterpiece of Georgian town planning. Wake to this ‘dream in masonry and rock’ as Robert Louis Stevenson called the capital. It remains one of the world’s most walkable cities. There’s a generous range of housing options in the wider city region, which can be accessed easily by the efficient transport system. How can you forget, that every August, Edinburgh hosts the biggest arts festival in the world. It provides the impetus which sustains the cultural energy of the city region throughout the year. Whether you’re a city slicker or a country dweller, like to have your finger on the pulse or just prefer the peace of the quiet life, then you can be sure that the Edinburgh and the surrounding city region has something to suit your tastes. If you are planning on relocating to the beautiful Edinburgh and planning on using an Edinburgh based removal company to transfer your household items, BS Removals are there to help. 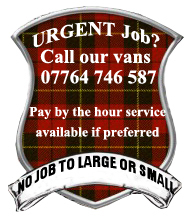 Whether it is moving personal items, or business items we will help keep the cost down to the best of our ability using services such as our Edinburgh man and van service or our 2/3 man crew. With hundreds of Removal Work in Edinburgh being carried out every year our crew has experience to do any kind of relocation work and help make your move (big or small) as stress-free as possible. 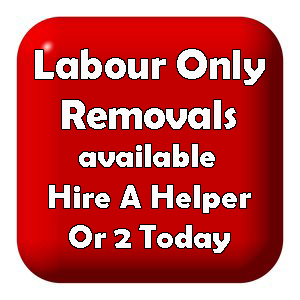 This entry was posted in Removal Services Edinburgh, Lothians and Fife and tagged bonnie removals, bonnie scotland removals, edinburgh removals, edinburgh small removals, edinburgh storage, edinburgh student removals, house move edinburgh, house removals edinburgh, household removals edinburgh, low cost removals edinburgh, man and van edinburgh, man and van midlothian, man and van scotland, move to edinburgh, moving quote edinburgh, removals quote edinburgh, removals service edinburgh, scotland removals, small removal edinburgh, small removals edinburgh, storage edinburgh, student move scotland, student moves edinburgh. Bookmark the permalink. Somebody essentially help to make seriously articles I’d state. That is the first time I frequented your web page and to this point? I amazed with the analysis you made to create this actual submit extraordinary. Fantastic activity! What?s Happening i’m new to this, I stumbled upon this I have found It positively helpful and it has helped me out loads. I hope to contribute & help other users like its aided me. Great job. Fantastic publish, very informative. I wonder why the other experts of this sector do not notice this. You should proceed your writing. I am confident, you’ve a huge readers’ base already!|What’s Taking place i’m new to this, I stumbled upon this I have discovered It absolutely useful and it has helped me out loads. I hope to contribute & assist other customers like its helped me. Great job. Thanks for another informative web site. The place else could I get that type of info written in such a perfect way? I’ve a undertaking that I’m just now working on, and I’ve been on the glance out for such information. I like Your Article about Removals Edinburgh | House Removals Edinburgh | Man and Van Edinburgh | Single Item Removals Edinburgh | Part Loads Edinburgh | House Clearance Edinburgh | Removals Edinburgh Perfect just what I was searching for! . Wow, fantastic weblog format! How long have you ever been running a blog for? you make blogging glance easy. The entire look of your web site is excellent, as neatly as the content material! I like Your Article about Removals Edinburgh | House Removals Edinburgh | Man and Van Edinburgh | Single Item Removals Edinburgh | Part Loads Edinburgh | House Clearance Edinburgh | Removals Edinburgh Perfect just what I was looking for! . Pretty great post. I simply stumbled upon your blog and wished to mention that I have really loved browsing your blog posts. After all I will be subscribing in your rss feed and I am hoping you write again soon! It¡¯s actually a cool and helpful piece of info. I am happy that you just shared this useful info with us. Please keep us up to date like this. Thank you for sharing. Excellent goods from you, man. 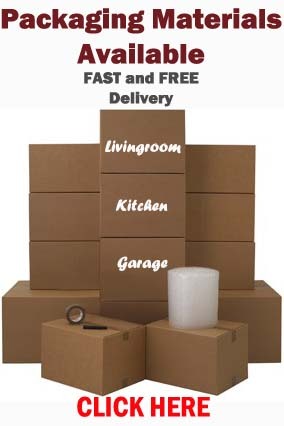 Removals Edinburgh | House Removals Edinburgh | Man and Van Edinburgh | Single Item Removals Edinburgh | Part Loads Edinburgh | House Clearance Edinburgh | Removals Edinburgh I have understand your stuff previous to and you are just extremely fantastic. I actually like what you have acquired here, certainly like what you are stating and the way in which you say it. You make it enjoyable and you still care for to keep it sensible. I cant wait to read much more from you. This is actually a great Removals Edinburgh | House Removals Edinburgh | Man and Van Edinburgh | Single Item Removals Edinburgh | Part Loads Edinburgh | House Clearance Edinburgh | Removals Edinburgh informations. Great goods from you, man. Removals Edinburgh | House Removals Edinburgh | Man and Van Edinburgh | Single Item Removals Edinburgh | Part Loads Edinburgh | House Clearance Edinburgh | Removals Edinburgh I’ve understand your stuff previous to and you’re just extremely magnificent. I actually like what you have acquired here, certainly like what you’re saying and the way in which you say it. You make it entertaining and you still care for to keep it sensible. I can not wait to read much more from you. This is actually a wonderful Removals Edinburgh | House Removals Edinburgh | Man and Van Edinburgh | Single Item Removals Edinburgh | Part Loads Edinburgh | House Clearance Edinburgh | Removals Edinburgh informations. Hello my family member! I want to say that this post is awesome, nice written and come with approximately all important infos. I¡¯d like to see extra posts like this .